Due to the weight and size, this Galway Crystal lamp ships separately and ONLY by ground freight. Typical delivery is 5 - 7 days. This Galway Crystal lamp features a detailed cut design and measures approximately 15" tall after you add a shade. 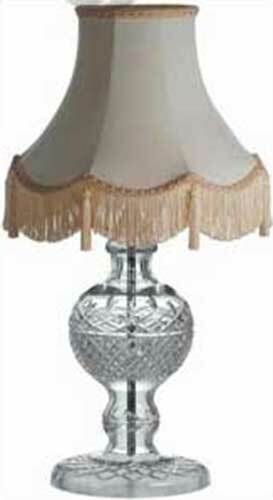 The Irish crystal lamp is the base only without a shade. The 24% leaded crystal lamp is from Galway, Ireland and it is boxed.